Philippines – The country is facing another problem after another disputed islands against China, but this time the issue is not over on a China Sea’s disputed island or West Philippine Sea but on the other side of the Philippines Sea, The East Philippine Sea which is part of the Pacific Ocean. 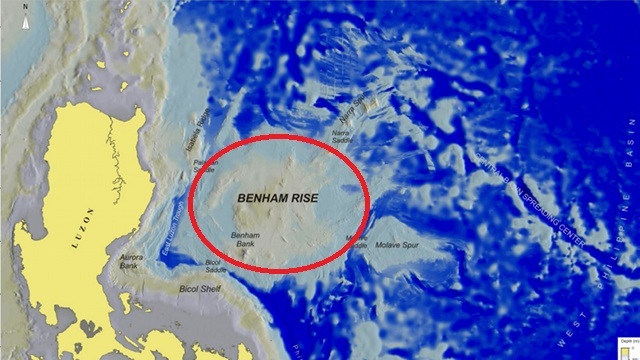 The territorial issue was about the undersea plateau known as “Benham Rise” or Benham plateau it is located in the Pacific Ocean or East of Isabela, Philippines. The plateau was known for its rich marine life and marine resources like oil and natural gas under the said plateau. It is part of the continental shelf and also part of the exclusive economic zone of the country. The plateau was officially given its right to the Philippines as part of territorial rights by the UN on April 2012. But the counties' rights might be in danger after some Chinese vessel was spotted around the vicinity of Benham Rise conducting surveys for several months now according to Defense Secretary Delfin Lorenzana which is recently brought up to the public concerning for another territorial dispute against China. According to China who immediately dismiss any concern for Philippines territorial rights over Benham Rise, that their vessel that was spotted in the vicinity of the plateau was only conducting marine research and also exploring their freedom of Navigation and China was not competing for the rights of Benham Rise? Meanwhile, President Duterte and the Chinese government was believed to come to an agreement that the Chinese vessel will be allowed to conduct some research in the vicinity of the plateau but will not intrude the territorial waters of the country. No Comment to " Philippines over "Benham Rise" Rights and Issue against China "